Drifted ashore and broke up. A storm blew out her sails & drove her into the seawall at Ft. Bank where she broke up. Later dimensions 134.6 x 23.9 x 12', 361 gross tons. Sister to ALBATROSS. 1879 Owned Muir Brothers, Pt. Dalhousie at St. Catherines. 1893, Feb 2 Transferred to Bowmanville, ONT; dimensions reported 136.5 x 26.3 x 11.4', 327.66 gross tons. 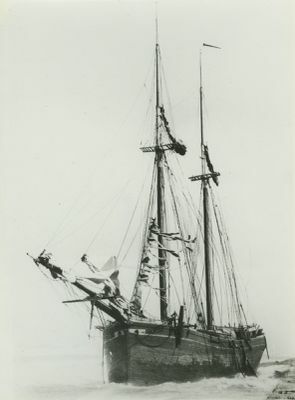 1900 Struck by gale near Fair Haven, driven ashore.